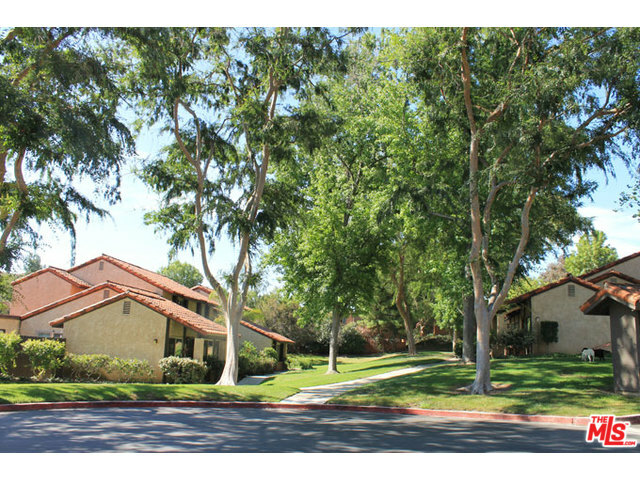 Lying in the beautiful Rondell condominium complex in highly desirable Agoura Hills is this large two story town home with an attached garage. The resort like community boasts endless lush green grassy lawns, a large pool and spa area, and a tennis court. This property is in a great location in the back of the complex, so is ultra private and peaceful. The recently remodeled unit has a nice open floor plan with a ton of windows allowing natural light to flood the property. Three bedrooms and one full bathroom upstairs and a half bath downstairs. Functional chef's kitchen with newer stainless steel appliances. Units don't become available in this community very often so now is your chance.